For Corbett Griffith III, divorce and two busy parents mean goodbye city life, hello great outdoors. With their busy Chicago careers and schedules, his parents just don't seem to have any time for him. When his mother sends him to his uncle's Wisconsin fishing resort for the summer, Corbett feels that there's no one pulling for him or caring what happens to him. But all of that changes at Whispering Pines Lodge, Corbett learns he is never really alone, thanks to his Uncle Dell, who takes care of him, and his new friend Pike, who pulls him into one mischievous adventure after another. It's a summer of change for ten-year-old Corbett--even his name changes, when a cute girl calls him "Griffy," a nickname he likes enough to keep. For a young boy who would rather play video games and sit in his Chicago home, a trip to the great outdoors is more than just an adventure. It's a time of discovery and a chance to grow. 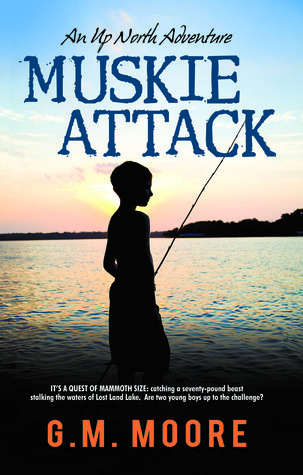 G. M. Moore creates a story that will capture the minds of children with her novel, Muskie Attack. 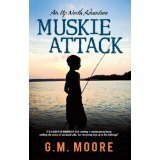 As the first book in the Up North Adventure series, Moore promises intrigue and inspires dreams with Muskie Attack. finally be somewhere he's accepted. Corbett seems like the typical 10-year-old boy who craves socialization and wants to make his dad proud. I think this book is perfect for children that share Corbett's age range. I would definitely recommend this book, and dare I say series, to any parent who wants their child to gain reading experience and enjoy the adventures of the outdoors. 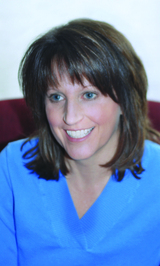 G. M. Moore is a former newspaper writer and editor. She grew up exploring the lakes of northern Wisconsin. During the summer months, this Chicago-area author can be found up north and out on the lake. Snakehead Invasion is the third book in the Up North Adventure series.